Facebook, Twitter and Instagram have become important outlets for celebs looking to bypass traditional media and control their own coming out narratives. It’s been more than two decades since Ellen DeGeneres graced the cover of TIME magazine with the accompanying words, “Yep, I’m gay.” Since then, several other celebrities and public figures have had high-profile coming out moments on magazine covers and in online news articles. Notable examples include “Star Trek” actor George Takei in Frontier magazine in 2005, Lance Bass on the cover of People in 2006 and NBA player Jason Collins on Sports Illustrated’s cover in 2013. While plenty of public figures still take advantage of traditional media to share this milestone moment, the advent of social media has restructured the celebrity coming out story and has led many LGBTQ stars to circumvent the traditional route. “Social media has allowed celebrities and public figures to control their own narratives, and that includes coming out,” Trish Bendix, managing editor of LGBTQ news site INTO, told NBC News. “Nothing is getting lost in translation or editorialized by a reporter or editor or publication,” she added. In the past two years alone, a slew of celebrities — most of them younger — have taken to social media to come out. “Love, Simon” actor Keiynan Lonsdale took to Instagram last May to come out, saying, “I like to change my hair, I like to take risks with how I dress, I like girls, & I like guys (yes), I like growing, I like learning, I like who I am and I really like who I'm becoming.” His post had nearly 100,000 likes. Major League Soccer player Collin Martin came out publicly in a tweet in June of this year, becoming the only openly gay male player in all the major North American sports leagues. 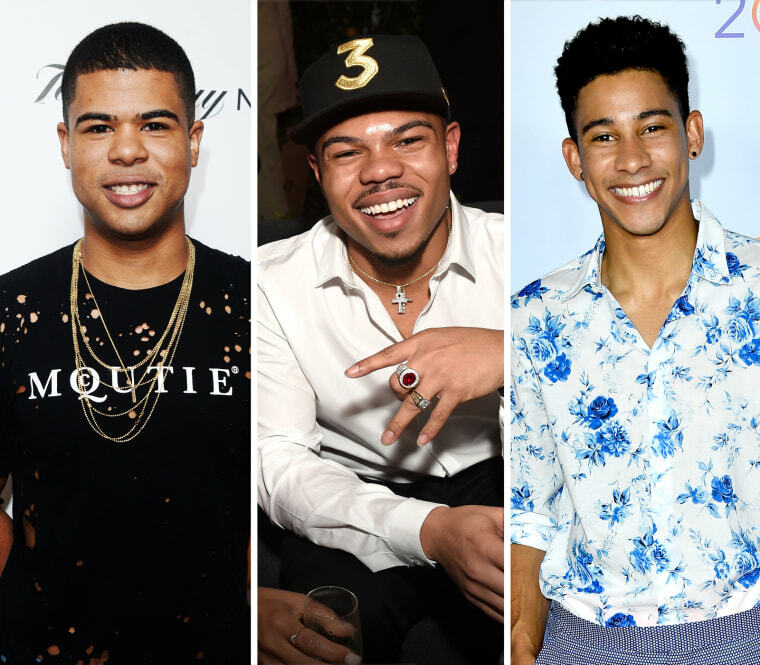 Other young stars to come out on social media this year include singer-songwriter Kehlani, who came out via Twitter in April; reality TV star Hennessy Carolina, who came out on Instagram in June; and actor Garrett Clayton, who came on on Instagram in August. Several public figures also used social media to come out following controversies. In perhaps the most notorious example was “House of Cards” actor Kevin Spacey, who came out on Twitter late last year following following an accusation from “Star Trek” actor Anthony Rapp that Spacey had made unwanted advances toward him at a party in 1986, when Rapp was just 14 years old. In his Twitter statement, Spacey said, “I have loved and had romantic encounters with men throughout my life, and I choose now to live as a gay man.” It was met with wide condemnation from the LGBTQ community. Social media is not just a platform for public figures to come out. It’s also an important outlet for non-celebrities, whether it’s to come out to a broader group of acquaintances or just to connect with other LGBTQ people. Underscoring the importance of social media as a coming out tool, Facebook on Wednesday debuted a new feature allowing users to select “Came Out” as a “Major Life Event” on their timeline. Reeves also noted that the social side of the internet has long been a gathering place for LGBTQ people, mentioning AOL chat rooms as an example. Some of these social media users, according to LGBTQ youth advocacy group GLSEN, may feel comfortable coming out on social media but not in real life: More than half of LGBTQ youth who were not out to peers in person use the internet, and social media in particular, to connect with other LGBTQ people, the organization found. “There's only the sentiment expressed and the timing that is their own,” she added.